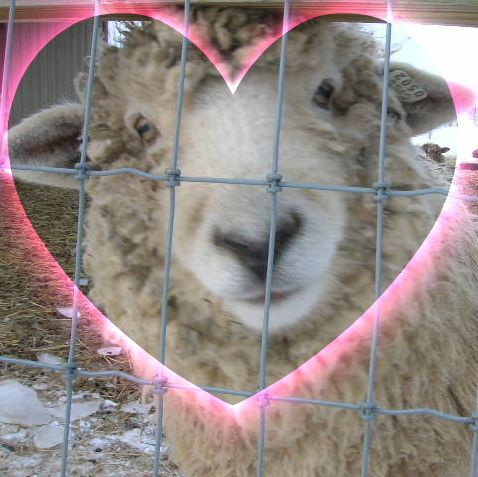 Harvest Thyme Homestead: Will U Be My Valentine? Ethan is a total lover especially when he knows peppermint treats are in the coat pocket! 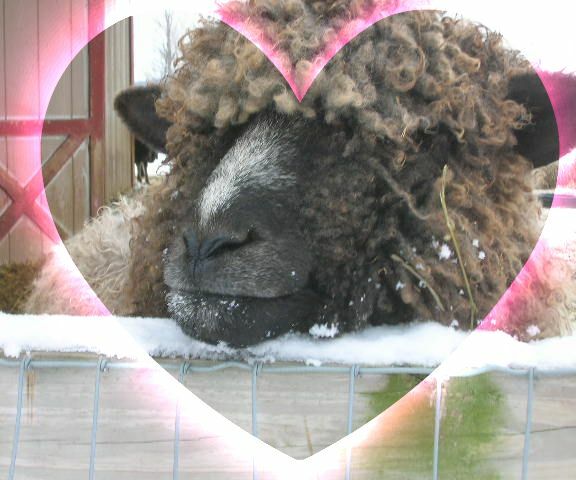 And honestly, who would not want to be Danby's Valentine? He just has the cutest face ever! Four legged Valentine's are just as good as two legged ones! Just think of all the poor people out there who have never known the joy of a sheepy hug. We are so blessed. My four-legged (and two-legged, if you count the chooks) sweeties all got a little extra feed today for Valentine's Day. I wondering if they even noticed or appreciated my gift......probably not! Four legged Valentine's are often better than two legged ones. Sign me up to be Danby's Valentine...he is a cutie pie! !